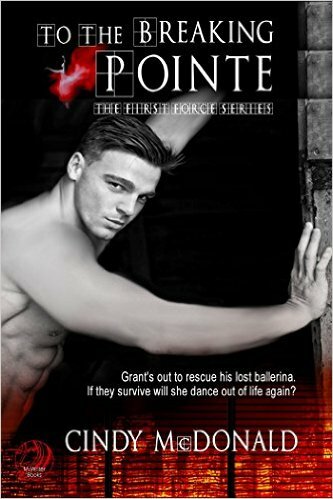 Just Romantic Suspense: SO MUCH FOR THAT! Congratulations to "Bea" and "Janet K.", the winners in Cindy's giveaway. Thank you to all who participated! Being an author is tough. I know, I know, it certainly looks easy. I mean, we sit in our writing studio with a cup of coffee within reach and we write stories. Seems easy enough—other that the blood dripping from our foreheads from pounding it off the desktop. I’ve been an independently published author since 2011. I published seven novels—with another coming in January, two children’s books, and a cozy mystery series in the works for the upcoming spring. But I’ll let you in on a little secret—publishing a book is expensive! After we have finished writing the manuscript it has to be edited, re-edited, and then proofread. An editor costs approximately a dollar per page. Let’s keep the math simple. A novel that is two-hundred pages can cost up to six-hundred dollars just in editing (1st editor, 2nd editor & proofreader). A good cover designer costs anywhere from one-hundred to two-hundred-fifty dollars. Layout for your ebook and print copies—two-hundred to three-hundred dollars, and then the cost of marketing said novel is exasperating to say the least. In March I was signed to a small publishing company. It was a four book deal—the first four books from my romantic-suspense series, First Force: Into the Crossfire, To The Breaking Pointe, Into the Dark, and the novel that I am writing for the series at this time, To the Brink. I was thrilled! My publishing costs had just disappeared! Yippee! 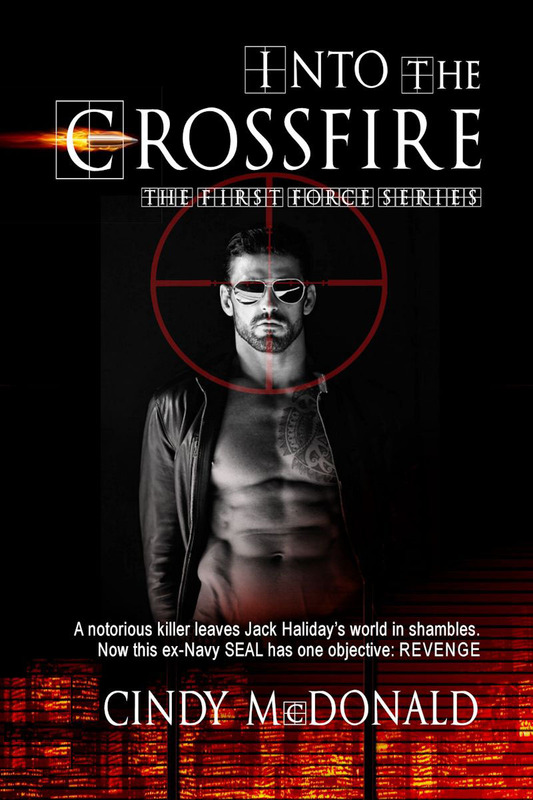 Almost immediately there was a new cover for Into the Crossfire. It was hot. I couldn’t take my eyes of it and the logo for the publishing company that now carried my books. Within a few weeks Into the Crossfire was re-released under their banner, and it shot to the top of the Amazon rankings. I couldn’t believe it! All the marketing that I had done over the two years that the book had been published never produced such results. I tweeted, I posted on FB, linkedin, blogged, virtual book tours, etc, etc--yet the book never drew such attention. It was the same book, written by the same author, so why could the publishing company get the book ranked so high, while I could not? Who cares? It was working, and I was on cloud nine! I came home one evening from dinner and there was an email: the publishing company was declaring bankruptcy! Whaaaat?! How could that be? They had just signed me! Why would they sign a new author just weeks before declaring bankruptcy? I mean, they had to know that they were in financial trouble. Why would they continue to sign new authors? OMG! I’ve lost my books! I’ve worked for years writing and marketing and now I’ve lost the First Force Series! The books could possibly become assets to the publishing company. It could be years before I could reclaim the rights to my works—not to mention the royalties that I would not be receiving from the weeks that the book had spent at the top of the Amazon sales charts. At this point I truly didn’t care about the money—I just wanted my works! Every five minutes or so a comment would come through the email thread from authors who were published with the company saying how sorry they were that the company was going under, how much they loved the owner. This was not how I was feeling at all. I was feeling cheated. Luckily there was a clause in my contract that should the publisher go out of business the rights to my books automatically revert back to me. Thank goodness! I let out a huge sigh of relief and a friend worked diligently with me to get the First Force Series back up and running on Amazon. I may not be a traditionally published author, but I own my works, and no one can take them away from me. When I was independently published, I had control over how many pages made up a chapter, when the book released, and how the book released. I supposed the old adage, once bitten twice shy, certainly describes how I’m feeling. Book #3, from the First Force Series, Into the Dark, will release in January—it’s a bit late, but I’m back in control, and it feels right. Giveaway ends 11:59pm EST Dec. 17th. Please supply your email in the post. You may use spaces or full text for security. (ex. jsmith at gmail dot com) If you do not wish to supply your email, or have trouble posting, please email maureen@justromanticsuspense.com with a subject title of JRS GIVEAWAY to be entered in the current giveaway. Wow, I never realized you had to put out such an expense to be published! Oh, yes indeed. That's why it is so very important for readers to support authors by leaving positive reviews when they've read and enjoyed a book--it really helps. I'm happy to be a reader. Thank you for this information, Cindy. Your perseverance certainly got results. Wow! It's certainly interesting to learn about the inter-workings of publishing. I'm glad everything worked out for you in the end. 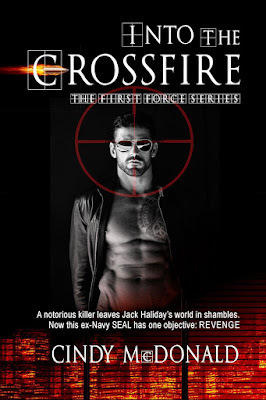 I had the pleasure of reading Into the Crossfire and look forward to continuing the series. Oh, I can't imagine the frustration and anger you went through. I'm glad you were still able to publish your books. It was pretty upsetting, but I have to keep moving forward.